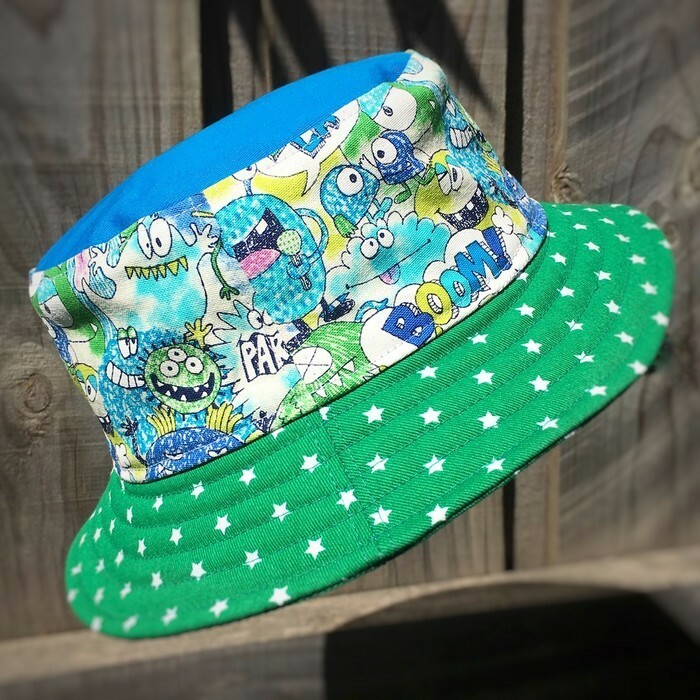 Does your little monster need a hat? 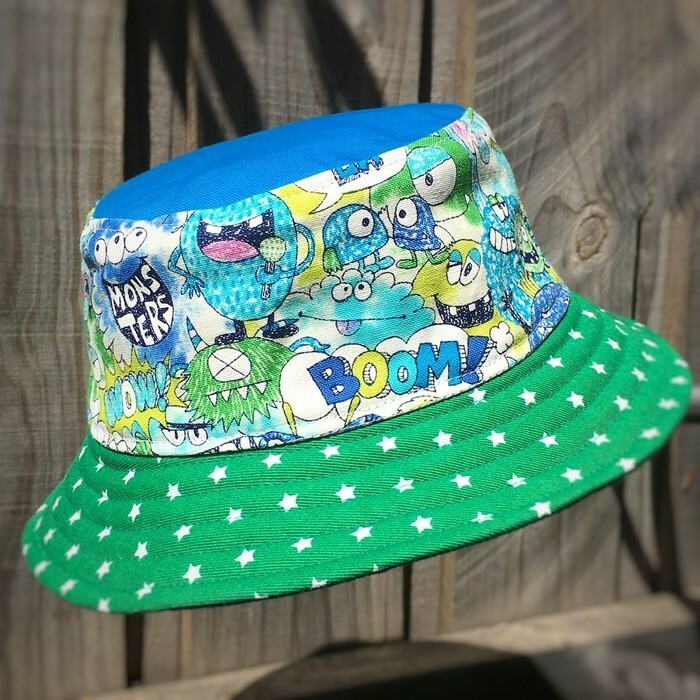 We have you sorted with this colourful bucket hat which is just overflowing with exuberant beasties of all kinds. Light and comfortable, this bucket hat is handmade from durable cotton canvas with a cotton drill brim, and lined with 100% cotton shirting fabric. 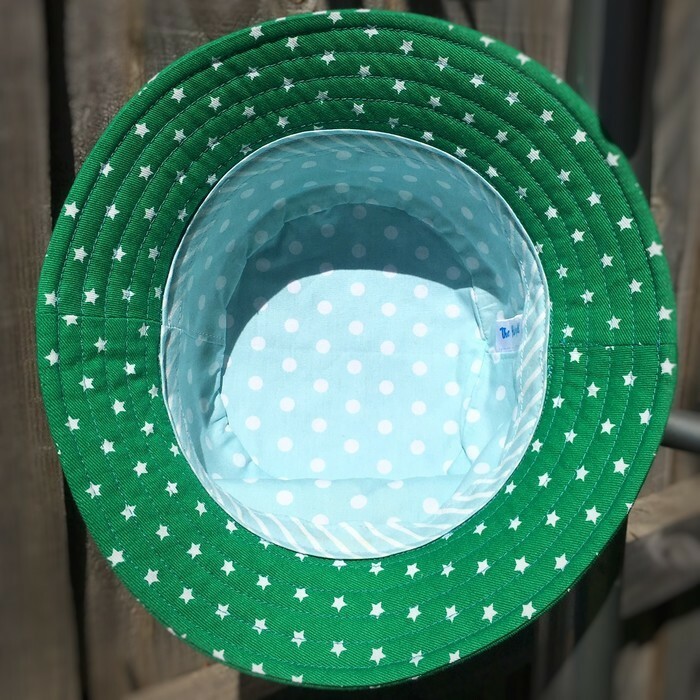 With an inner circumference of 52cm, this bucket hat will fit most girls who are 4 to 5 years of age, and boys aged 3 to 4. To be sure, take a measurement around the child’s head, placing the tape just above the eyebrows and ears. Add two centimetres to this number and you have the correct hat size. This hat may be spot-cleaned, or washed in a wash bag on the gentle cycle. I recommend you line-dry the hat to prevent any shrinkage that might occur in a dryer. Please put your name in the ‘Description’ field so I can match your order to your payment.